With February being my birth month (aka the month I use as an excuse to buy myself new things) I decided to treat myself to a little Space NK order. Although I only picked up 3 things, Space NK is certainly a splurgy ‘treat yo self’ type of store so whilst it might not look a lot, it certainly did some damage to my bank balance! Whilst I should really be saving as it’s now only 55 days till we’re off to New York (I’m getting so excited now, eeeep!) you only turn 21 once so I’ve made the most of this fact but after my actual birthday’s here it’s time to actually save! 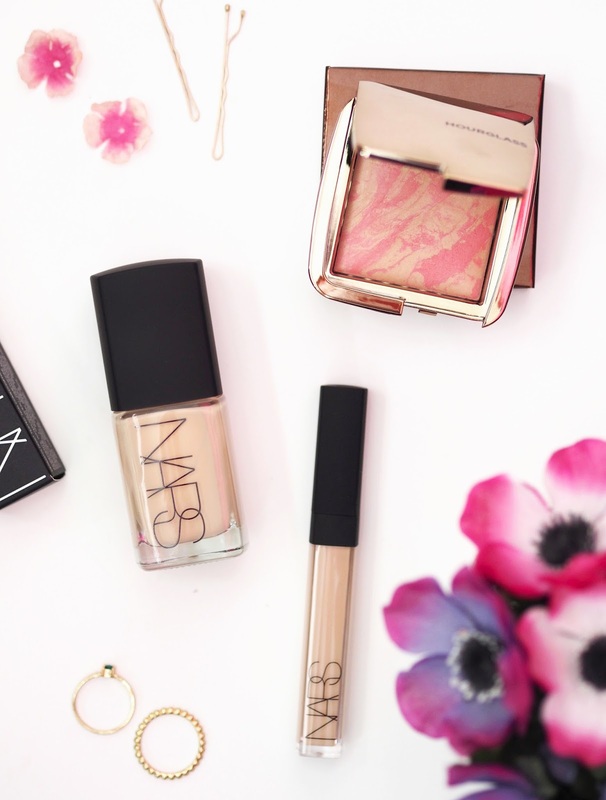 The first thing I picked up was the Nars Sheer Glow Foundation in Mont Blanc. This was actually a repurchase as it’s been a firm favourite of mine for a while now so when my last bottle ran out I knew I needed to pick it up asap. Sheer Glow’s one of those foundations I can always rely on, no matter how bad or good my skin may be looking that day it’ll make me look slightly less zombie and a little more human. It really smoothes the skin whilst providing the medium to full coverage I want without masking my skin. It also lasts all day on my combination skin, serious holy grail status. Up next was another holy grail repurchase of mine, the Nars Radiant Creamy Concealer in Vanilla. I’ve spoke about my love for this little gem so many times on my blog and Instagram so I’ll try to keep this brief. I’ve got acne scarring on my cheeks (so annoying!) but this works perfectly helping me cover and conceal it without looking cakey. It also works great concealing pesky dark circles, I often find high coverage concealers can look dry or cakey under my eyes but I don’t have any issues with this one. I think this is about the 10th time I’ve repurchased it over the years now but I honestly couldn’t be without it, it’s love. The final thing I picked up was actually something that’s sat on the top of my wishlist for what feels like forever now. 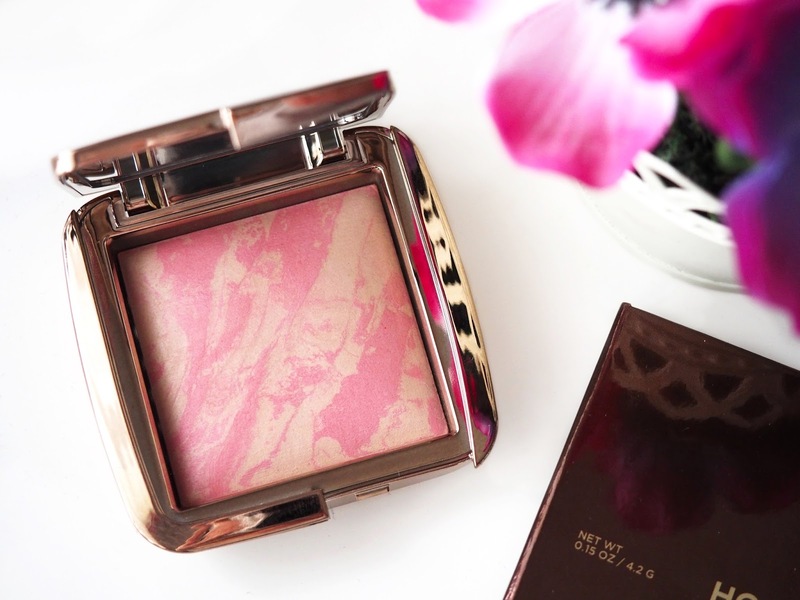 The Hourglass Ambient Lighting Blushes really are a thing of beauty, every time I see them featured in blog posts or in Instagram pictures I seem to fall more in love. Coming in at £32 they aren’t exactly budget friendly so I think that’s why it took me so long to actually buy one. In the end I went for Luminous Flush which is such a beautiful rosy pink, it adds such a natural pop of colour and I can’t wait to try more from Hourglass now! Although I said I was meant to saving after this, I realised I had rewards on my point card plus my birthday discount so I decided to order the new Nars Soft Matte Concealer – I couldn’t resist! I’ve heard great things about it so far and knowing my love for the Radiant Creamy Concealer so I can’t wait for it to arrive. Of course I’ll get round to reviewing it once I’ve used it for a while, I love cream concealers so I’m excited to give it a try.